This year, the Lighting Guerrilla festival is setting off for the seaside for the first time. The traveling edition of the festival titled Re:Action will take place at the Slovenian coast, more precisely in Isola. 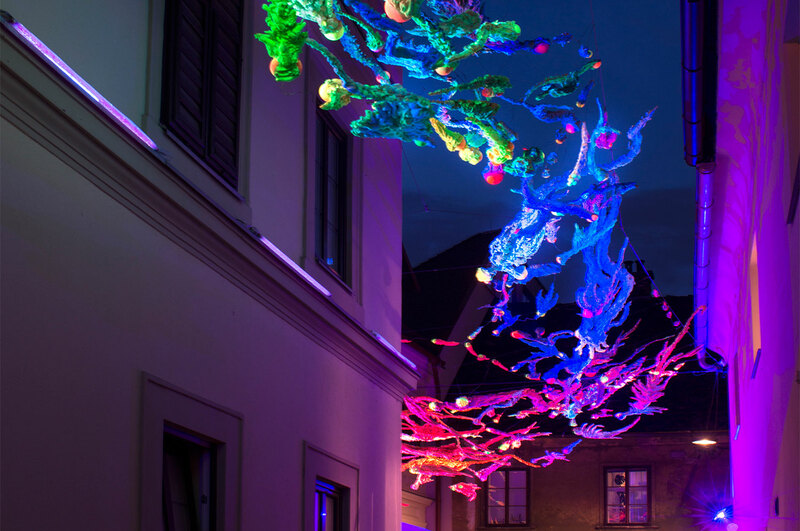 The city’s old historical centre, the city beaches and the city parks will be used as a backdrop for a series of lighting installations created by Slovenian and foreign artists. The aim of the Lighting Guerrilla festival is to explore the medium of light in a contemporary visual discourse while inviting the audience to deliberate on the positive role of art in the public space. The centre of Isola will turn into a space of playful imagination and fascinating visual narratives for the duration of three weeks. In addition to the older works that were realized for the previous editions of the festival, a new series of productions created by local artists and/or attendees of workshops will be presented in Isola as well. The hosting of Lighting Guerrilla in Isola brings a series of lighting installations that shape new spatial contexts and different views of this Mediterranean city. The reshaped coordinates of urban ambient imaginatively reshape the role of light too, addressing thus a very wide audience and enriching the texture and feel of the urban experience.